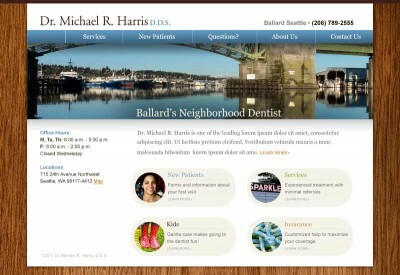 A new WordPress website for Ballard dentist Michael R. Harris. Scott was so helpful in helping us think through how to build the most efficient, functional site possible. I am a stickler for design, and was highly impressed by Scott’s ability to build a site that carefully and thoughtfully rendered our graphic artist’s vision. I could count my edits upon first review of the built site on one hand. Thanks so much! Plan It. Write It. Code It. Launch It. Scott Marlow has gone above and beyond what he was hired to do for Twilight. He continues to help us maintain our website and guides us in our marketing efforts. Always happy to help out and expand our understanding, it’s quite apparent that he loves what he does and is truly committed to his clients and the marketing process.